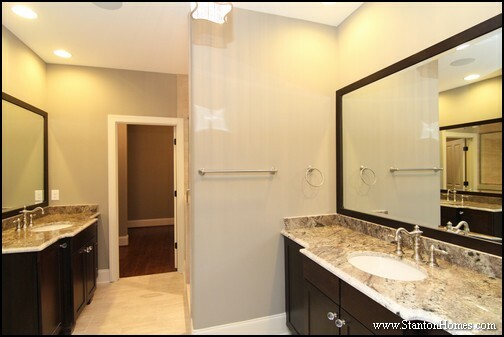 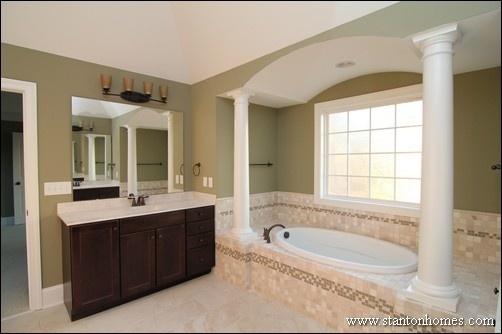 You're guaranteed to spend a significant amount of time in your master bathroom. 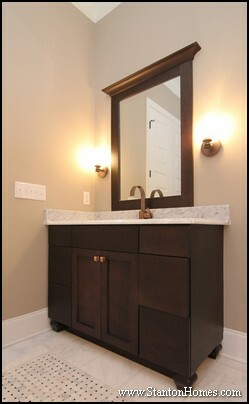 What features, layout options, and finishes are most important in keeping your morning and evening routines on track? 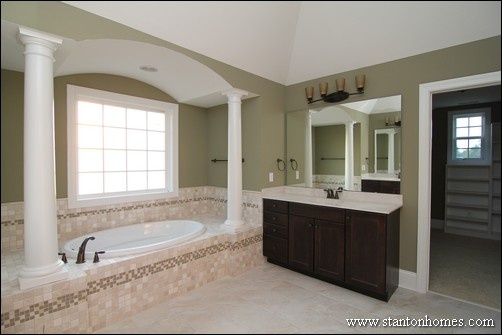 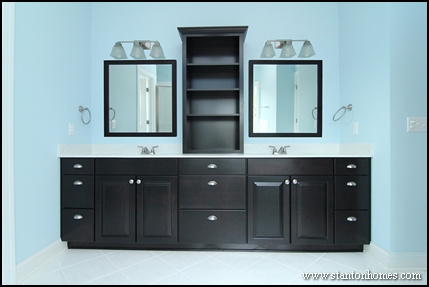 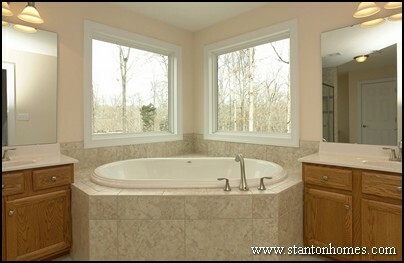 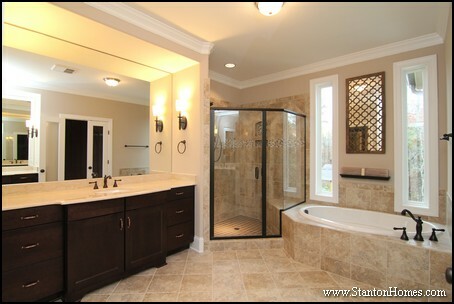 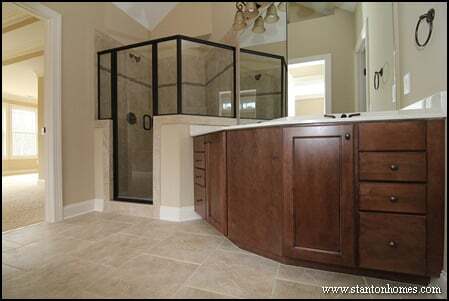 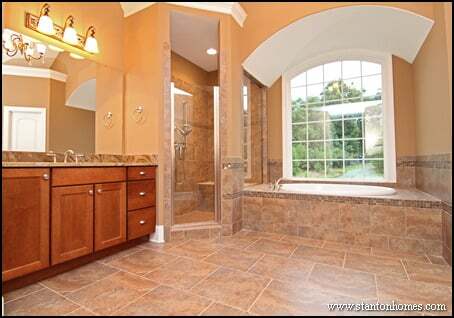 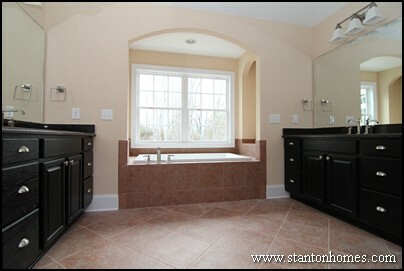 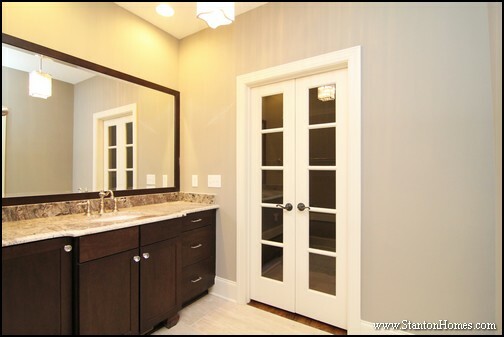 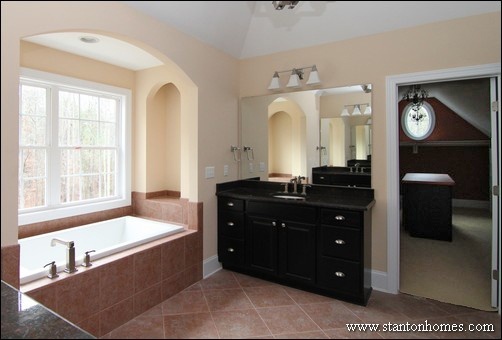 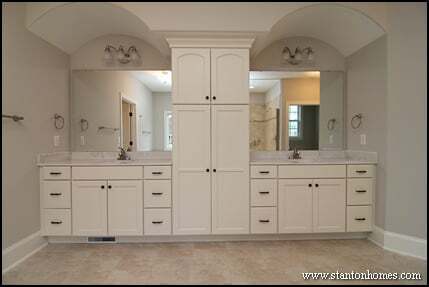 Scroll to view side-by-side photos of two ways to build The Cotswold master bath, from Frank Betz. 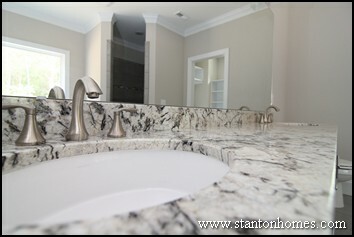 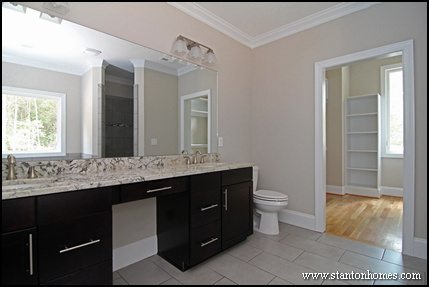 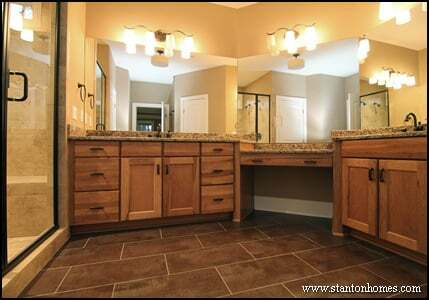 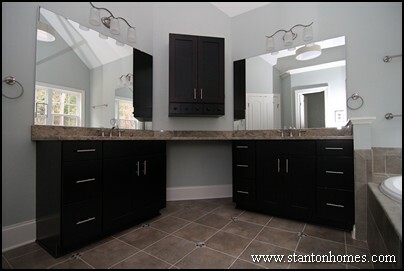 Dark or light colored vanity tops? 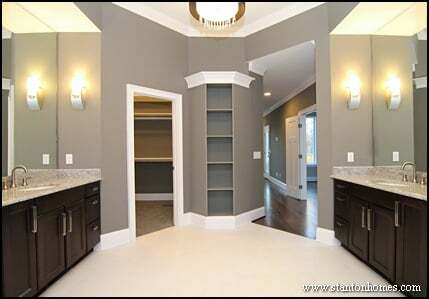 Arched built in art niches, or space for classic white columns? 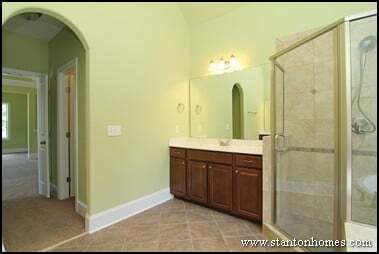 Archway above the his and her shower (with shower heads on each end)? 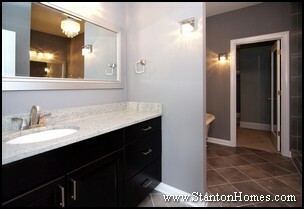 Or wide open spaces with white subway tile? 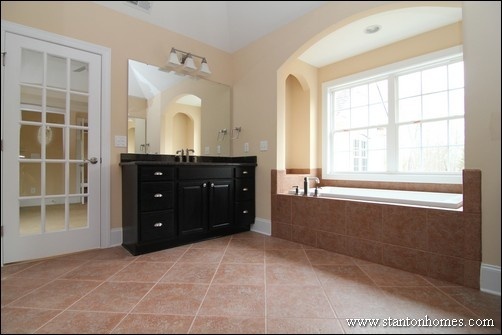 Is this master bathroom too large? 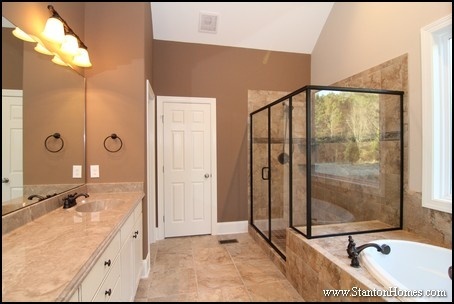 What would you take out? 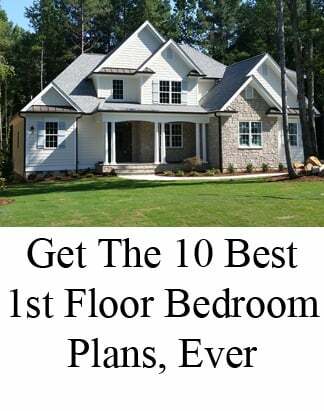 As you build your new home, always plan for the future. 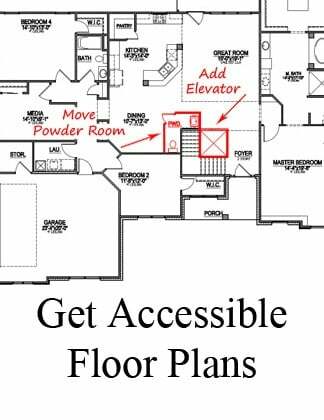 Consider integrating aging-in-place design features. 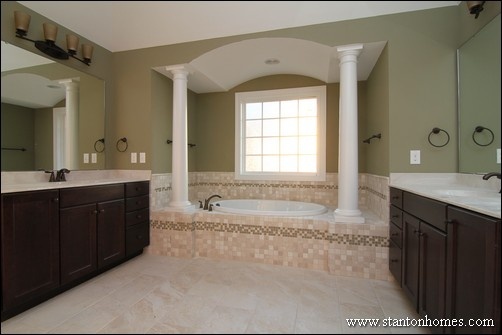 Aging-in-place features can be seamlessly added to your master bathroom, so that everything is beautiful as well as adaptable. 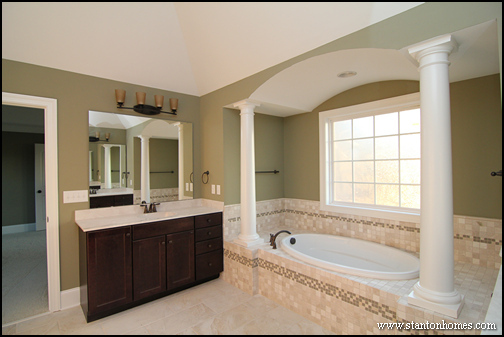 If you think you might put your home up for sale one day, aging-in-place design can add value and increase your resale potential. 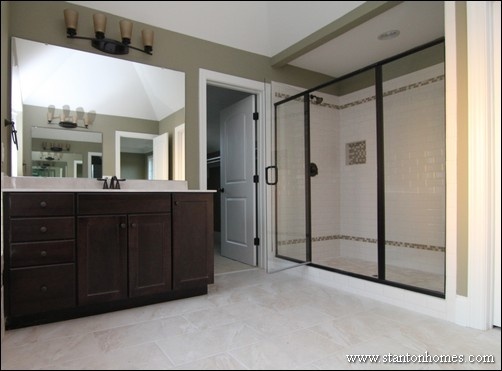 Even a zero-threshold shower can be a great addition. 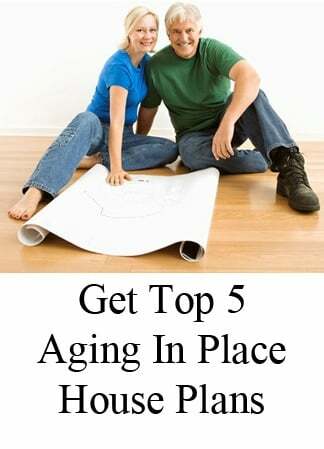 And if you intend to retire in it, you'll appreciate small details that make everyday movements more comfortable. 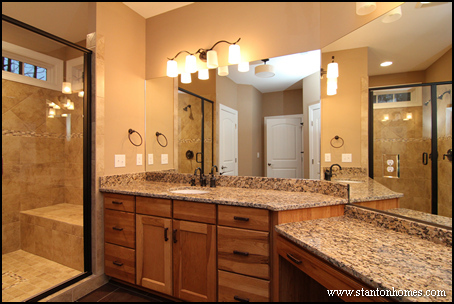 Think about future savings built-into energy features. 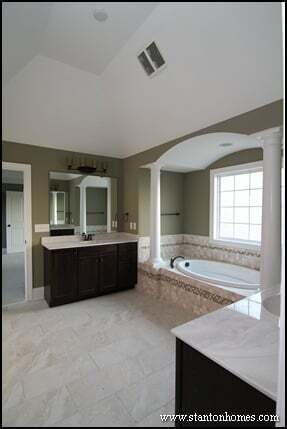 Whole-home features, such as spray foam insulation, will make a huge difference to your monthly energy bills. 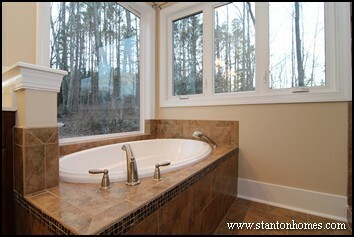 Low flow faucets and dual flush toilets can also add daily cost savings - while preserving our precious water resources. 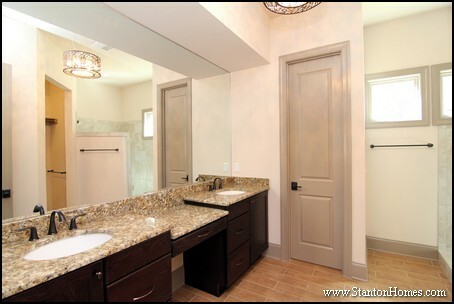 Your builder can tell you a whole lot more about energy features that make cents for you. 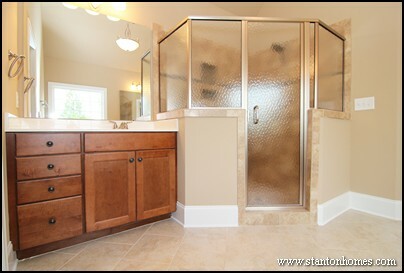 Love to take long, hot showers? 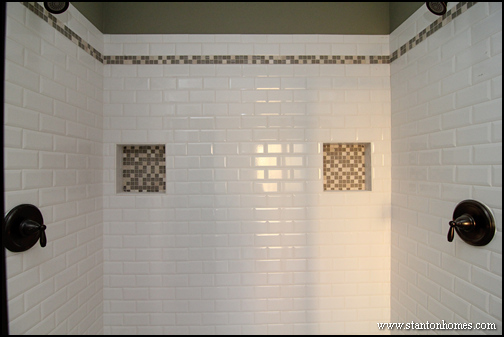 Dual shower heads might be a good investment. 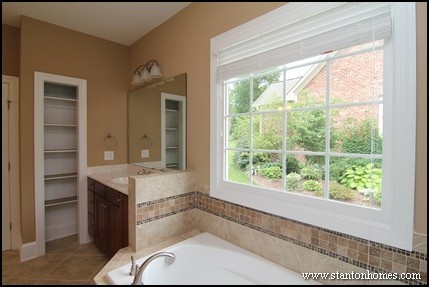 It can make getting clean a lot more interesting, and it's also a great feature for resale. But don't get so focused on the shower that you forego a soaking tub. 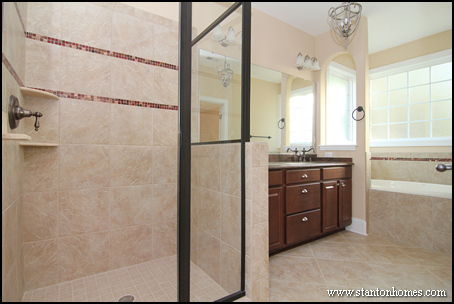 Even if you prefer showers, many people still want the versatility, and that can make a difference in your resale appeal. 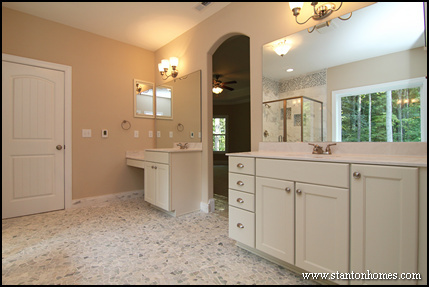 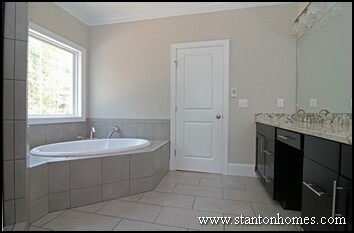 There are a tremendous amount of tile possibilities for custom homes. 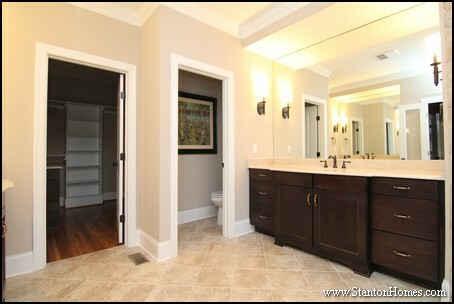 And the choice you make can make a huge impact on the ambiance of your master bathroom. 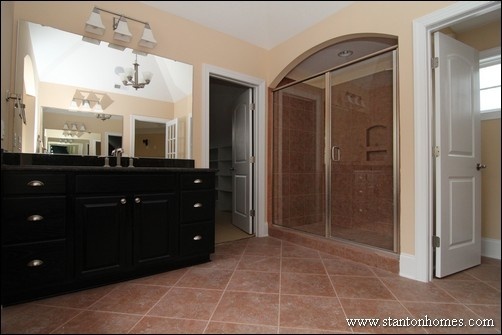 Sure, it's all about personality. 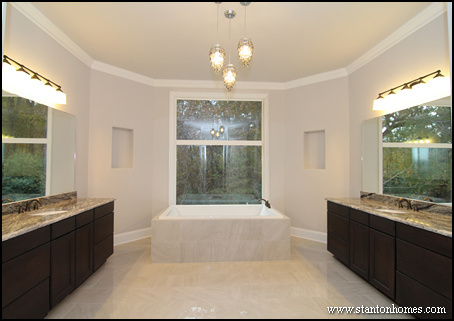 But it helps to get the opinion of a professional interior designer to help make sure everything flows together seamlessly. 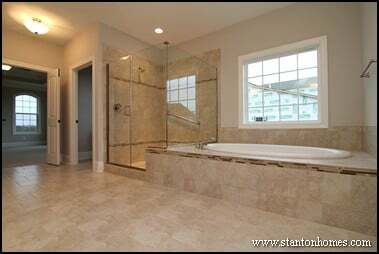 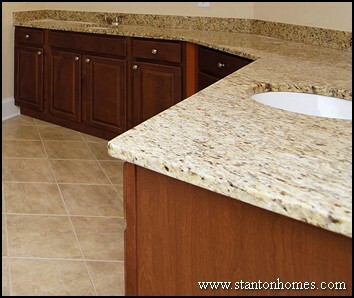 Top builders like Stanton Homes will install tiles of virtually any size, texture and color - you're not limited to four basic choices like many builders offer. 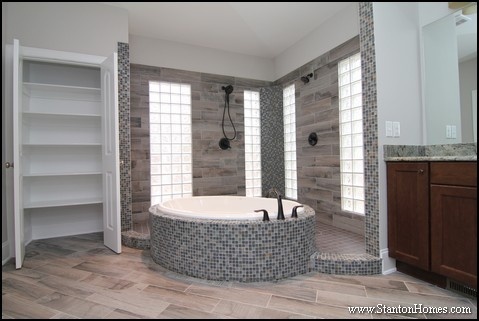 Ask your designer to help you see the difference it can make when you coordinate the entire room around your tile, with something warm and comforting. 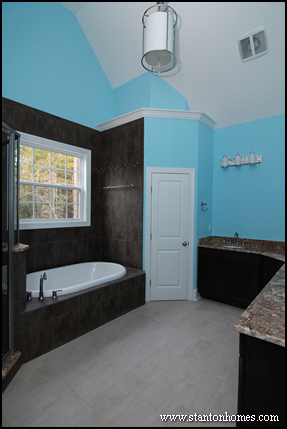 Go bold with your color choices. 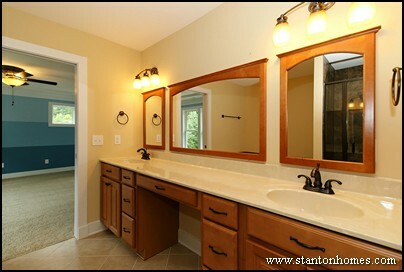 Paint is something you can change, later, so don't hold back if your personality likes things bright. 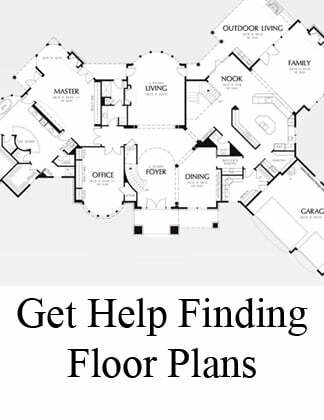 Choose a couple of rooms that are personal spaces and decorate with abandon, from modern and white hanging lights to classic and bronze chandeliers - whatever feels like "you." 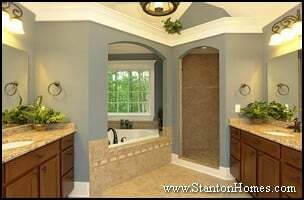 It's one of the least expensive ways to personalize your home, with light and color that sets special spaces apart.